Losing weight and toning can be achieved through a balanced diet and regular exercise. However, many people are left with stubborn areas of fat that they feel are impossible to shift. Liposuction surgery specifically targets these deposits and can reshape areas of the body. It is best suited to removing localised deposits of fat especially from the neck, stomach, arms, hips or thighs. Liposuction permanently removes fat cells, hence the change in body shape can be permanent. However, the remaining fat cells can increase in size as weight is gained and so weight loss may not be permanent unless a healthy lifestyle is adopted. Liposuction is performed through small (4mm) incisions, which usually heal to form fine, barely perceptible, scars. Fluid is first infiltrated into the fat to make it turgid and easier to work with. This fluid also compensates the body for the volume of fat removed. It also contains local anaesthetic and adrenaline, which act to minimise bleeding and reduce the amount of bruising and pain post operatively. Long narrow tubes are then inserted via the incisions and used to remove and shape the fat. Liposuction to remove excess fat deposits up to 3 litres can generally be performed as a daycase under local anaesthesia with total intravenous sedation. However, for greater volumes (4-5 litres) or in patients with medical conditions, general anaesthesia and an overnight stay are advisable. You should be realistic in your expectations before deciding on liposuction. Know that there is a limit to how much fat can be removed safely. 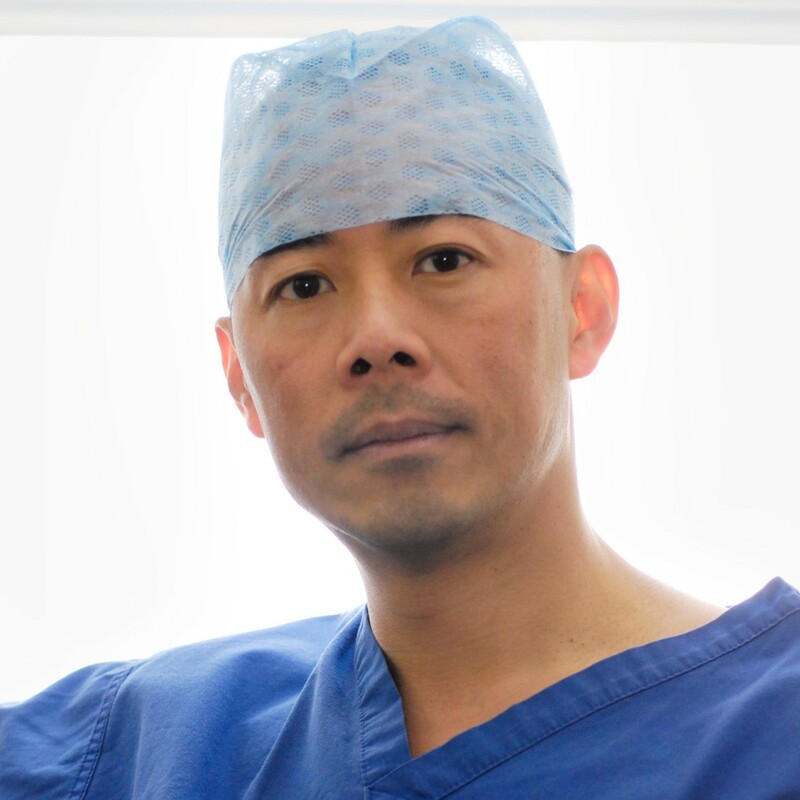 The surgery will be of benefit if you have unwanted, localised areas of fat around the face, neck, tummy, hips, thighs and knees. You should be fit and well and within approximately 7kg (1 stone) of your ideal body weight. If you are generally overweight, you should consider diet and exercise to reach a lower weight before considering this operation. It is not a ‘Quick Fix’ method for losing weight. Every operation carries with it the risk of bleeding, infection and delayed healing, but these are very rare in liposuction. There may be skin irregularities not unlike cellulite. Cellulite is not improved by liposuction and can actually be worsened by it. There may be larger contour irregularities or areas of asymmetry, that require further ‘touch-up’ or revision procedures at a later stage. Ultrasonic liposuction is sometimes used, particularly for the chest in men, and for the upper abdomen. It utilises high frequency sound waves to shatter the fat cells. Heat is generated as a by-product, and there is a risk of burns to the skin with ultrasonic liposuction. As mentioned above, the scars heal very well in most patients, but please be aware that if you have dark skin, freckly skin or red hair, there is a greater risk of persistent lumpiness and hypersensitivity in the scars. This is known as hypertrophic or keloid scarring.